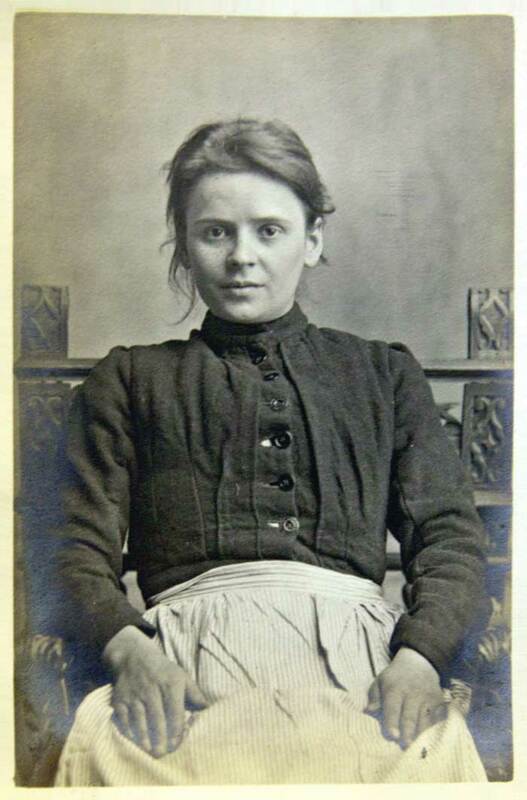 It’s hard to believe the pretty girl sitting in the Roman chair posing for her photograph to be taken is in fact an inmate of the lunatic asylum and even more astonishing the fact within 18 months she would be lying in an unmarked pauper’s grave on the outskirts of the vast Victorian institution. 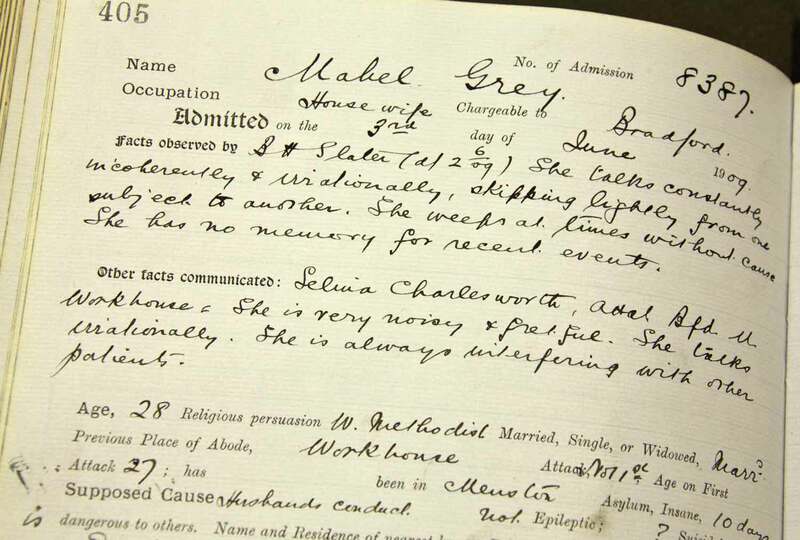 Mabel Grey was admitted to Menston Asylum in June 1909 direct from the Workhouse in Bradford, under the banner of care and treatment she was diagnosed with Chronic Mania. 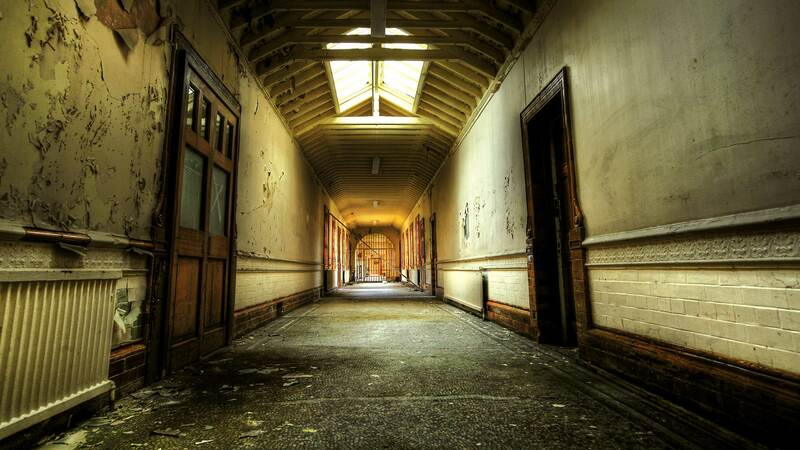 The term ‘Mania’ was a Victorian favourite when it came to diagnosing people entering the asylum. The definition of mania is ‘to rage furiously’. The supposed cause of Mabel’s illness was determined to be ‘Husbands conduct’ the reality was, she had been infected with syphilis. We will never know if it was her husband who infected Mabel, however the disease would kill her regardless. With this disease, remission is extremely rare. However, Mabel was discharged improved on 15 September 1910. This was shortlived as she was to return soon after and died in November 1910 aged just 29. Her next of kin was named as her father Outhwaite Fearnside, who ran the Ornithological Depository in the city centre so it is unclear why her remains were not collected by him and buried privately. Despite it being stated she was married on her admission record I think we can assume the husband was long gone. It was only after her post-mortem and the brain having being examined that the cause of death was determined as General Paralysis of the Insane, a syphilitic disease. General paralysis of the insane (G.P.I.) was one of the most devastating diseases observed in British psychiatry during the 19th century after 1840, in terms of the high number and type of patients diagnosed, the severity of its symptoms and, above all, its utterly hopeless prognosis. The Disease is usually manifested by neurasthenic difficulties, such as fatigue, headaches, insomnia, dizziness, etc. As the disease progresses, mental deterioration and personality changes occur and delusions are common and tend to be poorly systematised and absurd. They can be grandiose, melancholic, or paranoid. These delusions include ideas of great wealth, immortality, thousands of lovers and unfathomable power.